The Printbiz is your one stop shop for getting your ‘PB’ photo printed on a mug, mousemat and more. The Printbiz is also an authorised Jack Pyke dealer and you can purchase from a secure online shop. 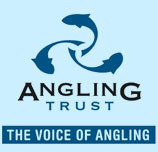 The Angling Trust is the representative body for game, coarse and sea anglers in England. Our members support the campaigns and legal action we carry out to protect fish stocks and our programmes to increase the number of anglers fishing for fun and in competitions. We're fighting for the future of YOUR fishing, but we need YOUR support to do more. If you want to protect your fish and fishing, for now and in future, join your representative body today. Fancy a well earned break away from it all? Then why not try out angel lakes in France. This is an all inclusive venue with some cracking fish set in a picturesque setting. Go on. Treat yourself and book today. Custom Bait Services © 2015. All rights reserved.